Do you get constantly stuck on problems? Do you hit mental walls that you can’t climb over? Well, what if MacGyver could help out? MacGyver was one of my favourite shows growing up. It was a show you could watch as a family as MacGyver was a non-violent creative genius who could outwit and outthink any bad guy an episode threw up. Richard Dean Anderson also had a wicked mullet. The hair nearly needed its own show it was that good. I wanted hair like that but my Mum said no. Thanks Mum, I owe you one! MacGyver was famous for using the most obscure items to invent pretty much anything. He used whatever he had at his disposal to create what he needed. From plugging acid leaks with chocolate to a makeshift defibrillator using candlestick holders, a floor mat, and an electrical power cord, MacGuyver was the king of taking what he had and turning it into what he needed. The show was an 80s smash hit! 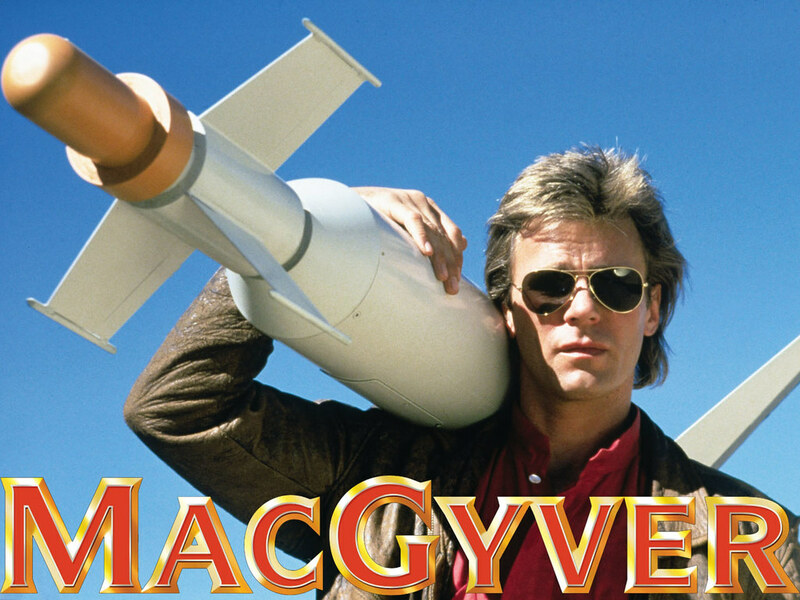 So what does MacGyver have to do with solving the problems that you are stuck on? Lee Zlotoff was the creator of the original television show and it is a method – inspired by MacGyver – that he developed that can help with tough problems. He called the process the MacGyver method. In previous posts, I have talked about the phases of the flow state and struggle is the first phase on the path to our peak experience. The key to our struggle is to not make it personal. Statements like “I can’t get this” or “I’m not a Maths person” personalise the struggle and make it about us. Don’t attach to the struggle. Steven Kotler, the author of the Rise of Superman calls the struggle, our priming state. It gets us ready for the best work and everyone goes through it. The MacGuyver method is a process you can follow to help you work the struggle phase. Handwrite the specific struggle you are having. The handwriting element of the task is important. An example I did the other day was “What is the through-line for my presentation?” You need to write down as much detail about the problem as you can. My problem wasn’t detailed enough so I added the following “What is the through-line for my presentation on group flow and conversation and how can I make sure that my examples constantly enhance and amplify that message?”. Zlotoff developed this technique after years of creative struggling. Creativity, episode television and tight deadlines tend not to go together. There are times when we go to the idea well in our head and come up empty. The more we force it, the emptier the well gets. Then we stop forcing it, and the idea pops into your head. This usually occurs when we completing mundane tasks such as mowing the lawn or are in the shower. When we try to think of solutions, we use the limited processing power of our conscious mind. When we stop forcing things, and let go, we tap into the supreme processing power of our subconscious mind. Studies have shown that the subconscious is between 5000 to 2 million times faster than the conscious mind. That is a big difference. The MacGyver method helps to improve the communication between our conscious and subconscious. The next step is my daughter’s favourite song, Let it Go. Put the problem out of your mind and let it be free. You then need to occupy your mental space with a low-level activity. Going for a long walk, mowing the lawn, vacuuming, sorting the clothes or filing papers are some examples. The activity needs to be physical and to not be mentally stimulating. This part of the method lines up with the Release phase of the Flow state. The break is a release. After struggling, our brains need a rest. Writing down the question lets our subconscious take over. Look at it like a letter to a pen pal or ‘Dear Diary…’ You are asking your subconscious to continue to work on the problem while you do something else. The struggle hasn’t gone away. You have use minimised the screen and removed the strain of focused thinking. Zlotoff recommends 1-4 hours of a mental break. Steven Kotler does 45 minutes for his break. Once back from the break, grab a notepad and write down the response to that question for five minutes. Just keep writing. Write whatever comes into your head. Eventually, the subconscious will come through for you. The process is a way of working. The more you do it, the better you become. So get your MacGyver on!